Akkary Fine Foods is an Australian-owned company that manufactures a tasty, paper-thin, dough-based crisp that is seasoned and baked (not fried). With no yeast, artificial flavours or colourings, Finz bread crisps are a low-calorie, healthy alternative to traditional snacks and an ideal accompaniment to drinks with friends. With five generations of experience in cheese making, the Bongiorno family are proud manufacturers of a wide range of quality, authentic Italian-style cheeses – fresh and matured. Alba Cheese manufacturing is HACCP accredited and all products are halal certified. The Alba Cheese legacy is one of passion and uncompromising commitment. Austral Dairy Group is an Australian dairy company with a cheese shredding, grating and block cutting facility set up in Malaysia for any contract packing needs in the ASEAN region and beyond. The facility shreds, packs and distributes customers product throughout South-East Asia, saving on costs and delivered fresh. 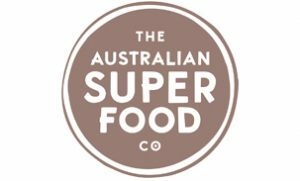 The Australian Superfood Co celebrates native Australian produce through its creation of a unique range of food products. 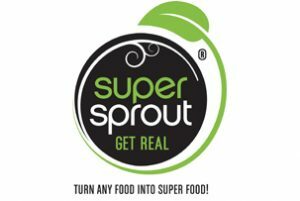 By increasing awareness, accessibility and affordability of Australian Superfoods, they aim to increase demand and encourage their cultivation. They hope to enhance respect for Indigenous culture and promote growth of Indigenous communities. 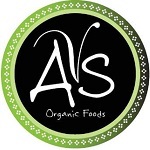 Specialising in artisan vegan, non-dairy cheese and food, AVS non-dairy cheese uses different techniques including culturing, ageing and fermenting to produce a delicious product for everyone. All cheeses are gluten free and organic. AVS takes consumer dietary requirements into consideration to produce nut free, soy free and fructose free products. Barkly Smokehouse proudly produces beautifully flavoured smallgoods made with traditional European recipes and best Australian ingredients. Traditionally made hams, sausages, presswurst, kranski, leberkasse and more, smoked over specially selected German beech. Never sacrifice quality for short term gain; it shows! Available at local delicatessens, selected supermarkets and quality food stores. Bemco Australia is one of Australia’s largest export consolidators, that assists Australian food manufacturers entering the Asian and Middle Eastern export markets. Through international Retail & HORECA partnerships, marketing awareness and government relationships. Bemco Australia has products in 17 international markets, with over 200 manufacturers with headquarters based in Melbourne. 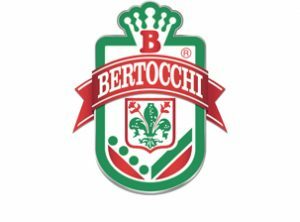 From modest beginnings several decades ago, Bertocchi has developed into one of Australia’s largest producers of ham, bacon and continentals. To this day, the company’s products are still hand crafted according to the same traditional methods that were set in place 48 years ago by the company’s founder. Blue Pear Pantry’s selection of delicious, ready-made savoury rolls are prepared using only free range and grass fed meats, fresh fruit and vegetables – all from local suppliers. Rolls are frozen fresh to maintain a high level of nutrients without additives, preservatives or gases. All packaging is made from 100% recycled materials and are 100% recyclable. Bruno Fine Foods & Distribution is a leading distributor of fine food in Melbourne. The company provides the food service and hospitality industry with a total wholesale supply solution, offering thousands of quality local and imported products over a wide range of categories. Classica International prides itself on enriching consumers with healthier organic products for over 30 years. Specialists in dark drinking chocolate (sugar free), savoury crisp breads and organic spelt (ancient grain) which is low GI, rich in vitamins and minerals, and contains no sugar, no animal fats and no preservatives. For over 25 years Chocolatier have honed their artisan methods in crafting fine chocolates, pralines and truffles. 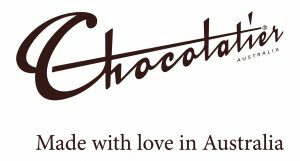 As a proud and passionate family, their chocolate is made with love, right here in Australia. Chocolatier commit to using only fine ingredients, so their chocolates are crafted for a truly gourmet experience. Della Rosa produces Australia’s best home-style stone-baked pizzas and is constantly developing new flavours and textures to keep up with global trends. 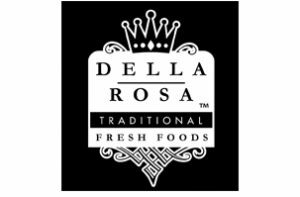 Successful exporters, Della Rosa’s advanced manufacturing capacity enables them to tailor their products to the particular tastes and buying behaviours of consumers across every region. Established in 1954, Dimattina is a wholesome family coffee roaster and supplier that roasts a wide variety of coffee originating from Africa to South America. More than just coffee roasting, Dimattina also supply high quality coffee equipment and extensive barista training. They are driven by an insatiable passion for coffee. From humble beginnings in the 1920’s, Edlyn Foods has built a reputation for producing quality and innovative food and beverage products, growing into a nationally recognised key supplier to the foodservice industry. Edlyn Foods is a 100% Australian owned and operated company that continues to proudly support manufacturing in Australia. Exquisine is a manufacturer of sensational desserts that make people smile. Since 1986 they have been developing and refining their range of desserts which includes mousses, cheesecakes, panacottas and more. Working with private labels and independently, Exquisine is an innovator of dessert solutions that are sold both nationally and internationally. 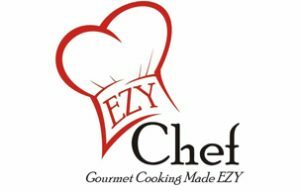 Ezy Chef caters to the food service, industrial and retail sectors of the food industry, focusing on aged care and hospitals. It offers a wide range of SQF, HACCP, organic, halal and kosher certified vegetable and fruit puree and juice products, fruit toppings, freeze dried powders, soups, stocks and sauces. Floridia cheese produces a range of Italian style cheeses for domestic and export markets including Ricotta, Mozzarella, Bocconcini, Fior Di Latte, Haloumi, Pecorino and Parmesan. Florida also has a specialty range of cheese including Burrata and Buffalo Mozzarella. All products are made from fresh cows milk using traditional Italian methods. Heather Brae Shortbreads is a family business, established in 1941, that specialises in baking Australia’s favourite treats. Its gourmet selection includes tarts, cookies, chocolate fingers, melting moments, muesli bars and crackers. The company supplies supermarkets and food service organisations across Australia and successfully exports to a range of destinations. Heavens Bakehouse produces Gluten Free bakery products from its dedicated facility in East Keilor, Victoria. The company produces a range of products including pies, sausage rolls, pizza bases, garlic bread and ready rolled, sheeted gluten free puff pastry. Heavens Bakehouse maintains global standards for food safety including SQF and HACCP. Ital Food Group is an Australian owned and operated company and is one of the leading manufacturers and suppliers of specialty biscuits and cakes to retail, wholesale and export markets. Ital’s manufacturing capacity extends beyond producing for their own labels – with manufacturing capabilities for organisations under their own private label. Luxe.Brew is a Melbourne-based coffee and liquor company, with over 20 years of experience in coffee roasting and beverage development. They provide innovative coffee, liquor and beverage solutions, including premium coffees, teas, drinking chocolates, chai, flavoured sugars, a range of espresso martinis and more. 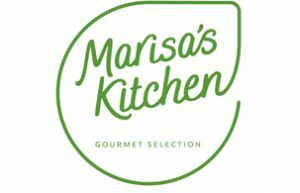 Marisa’s Kitchen offers a unique range of gourmet products and meals that are acclaimed by food lovers everywhere. By adding a personal touch to traditional Italian recipes and using only the freshest produce and best ingredients, they bring authentic Italian flavours to a range of dips, soups, sauces and more. 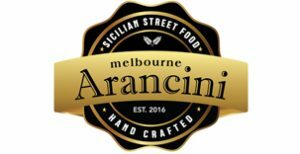 Melbourne Arancini specialises in premium handcrafted Sicilian arancini. Unique in taste, freshness and quality, these delicacies are filled with traditional and not-so-traditional flavours, using quality local ingredients. Handmade, not mass-produced, this ensures the best product every time. Made to order and delivered fresh, never frozen. Melbourne Arancini, taste the difference. Naturally Good Products began in Australia in 1986, from a family’s love of naturally delicious foods. They use quality natural ingredients to create delicious snacks, cookies and crispbreads. The range includes tasty ‘free from’ items including gluten free, dairy free and nut free products. Plusrite is an international manufacturer of lighting products such as HID, LED. Plusrite Australia Pty Ltd opened its sales office and distribution warehouse in 2012. On top of lighting products, Plusrite provides quality services that include lighting design, energy cost calculation savings, energy site audits and more. Picnic Dairy’s premium brand, Sahara Dairy, offers pot set natural yoghurt products, cheese, kefir, kaymak and ayran with milk from Australia’s best free-range dairy cows. Certified FSCC22000 and export registered, halal accredited. High level manufacturing and service to their customers sets Picnic Dairy at the forefront of dairy production. Procal is a 100% Australian family owned and operated dairy manufacturer and distribution business based in Campbellfield Victoria. Procal’ s milk is sourced from regional Victoria and the product range includes milk, yoghurt, cream and sour cream. Procal has a strong focus on sustainability and is committed to the long-term welfare of their dairy farmers. Royal Food and Beverage Co, a division of Royal Enterprise Group, specialises in producing wine and meat products. Currently exporting to China and south-east Asia, the group has won a number of awards for their wines, a result of the hard work and talent of their master winemakers. Royal Nut Company is a family-owned business with almost 30 years of experience, dedicated to sourcing, manufacturing and supplying the highest quality nuts, nut butter, dried fruit, legumes and grains, health foods, confectionery, snack foods and spices. They carry HACCP and kosher accreditations for the manufacturing and distribution of products. 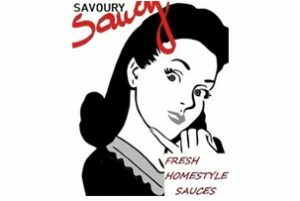 Savoury Saucy has created an artisan condiment range that delights the senses with its freshness and complex Australian flavours, produced in the picturesque spa town of Daylesford. With a modern, healthy take on traditional condiments, the company caters to broad marketplaces – from retail to food service, both locally and internationally. 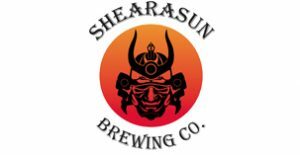 Shearasun Brewing Company is an Australian-owned, independent family brewery. They use only the finest ingredients from all over the world to produce full-bodied beers that never compromise on quality. The range includes brown, golden and pale ales, cider, IPA, dark lager and Irish stout. Silly Yaks Foods is a premier manufacturer of gluten free bakery products, including bread, biscuits, sweets, savoury cocktail snacks and pre-cooked pizza bases. All products are clean label, and manufactured and packed in a 100% wheat, gluten and nut free environment. 100% pure, all natural, real, whole fruit and vegetable powders, grown and produced locally. Each of their 3 ‘premium’ powders (2 being ACO and USDA certified) adds a new level of colour, taste, flavour and nutrition to favourite foods, drinks or recipes – convenient and easy to use every day. 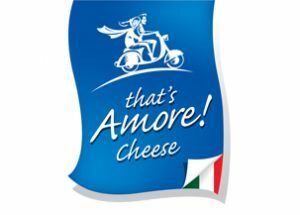 That’s Amore Cheese is a fine-style cheese producer and leader in the dairy industry in Australia. The company’s founder and cheese maker Giorgio Cinguanti was the first to introduce iconic cheeses into the Australian market. 100% natural and artificially free, That’s Amore uses only Australian farm fresh milk. University Food Group incorporates Service Sphere, University Meat and Country Cooked. The group’s heritage is one of passion, from the traditional Italian love of hospitality and the shared experience of food. For over 50 years, the group has delivered innovative concepts to meet the demands of the food service market. The Vegan Weasel is a family-owned business that produces a range of 100% plant-based products. The products include a home-made range of lasagne, shepherds pie, bolognese, and cakes. The Vegan Weasel is passionate about living a healthy and cruelty free lifestyle. Customers can find the products in store or online. Wine by Sam is a family owned winery located in Seymour, Victoria. Winemaker Sam Plunkett sources grapes from vineyards throughout Central Victoria, including the family vineyards in the Strathbogie Ranges, to produce fine table wine. Their high quality award winning wines, particularly Shiraz, are known across Australia, UK and USA.